Area Guide - Casa Grande RV Resort & Cottages - AZ No announcement available or all announcement expired. With Arizona offering one of the most diverse set of attractions anywhere in the United States and having some of the most spectacular sites in the world; illustrates Arizona as America’s natural “amusement park”. It’s a place that offers attractions to suit every taste, where fun, adventure and breath taking scenery await you in every corner of the state. Thus, the unique city of Casa Grande’s central location makes it conveniently the center of everything within the greater Valley of the Sun. From Casa Grande you can head in any direction to find scenic routes, history, culture, hiking, golfing, an adventure or just plain relaxation. The small-town charm community of Casa Grande bustles with activity during the fall, winter, spring, and even summer. Offering an abundance of recreational, cultural and leisure activities. From one of kind museum exhibits exemplifying the rich heritage of rural southern Arizona, to hot air balloon excursions that reveal the wonders of Arizona’s breath taking Sonoran Desert, to 650 year old landmarks and historic downtown Casa Grande Main Street, you will marvel at the scope of attractions to choose from. In a community within a lovely rural setting presenting a quiet, first impression ambiance, Arizona’s Valley of the Sun is unlike any place else in the world, so saddle up to the warmth, generosity and hospitality of our great state, and get ready for a true taste of the Southwest. Please be sure to ask the Casa Grande RV Resort office staff for more information. Open all year round for great golfing in Casa Grande. Par 72 and 6651 yards from the gold tees make it a challenging course. Beautiful mountain views and mature trees line the course. The carts paths are all paved and the course’s new irrigation system makes for a wonderful golf experience. 170 acres, 18 hole course with clubhouse and driving range and chipping and putting green. This par 72 traditional course layout features lush fairways, over 1500 mature trees, well-manicured greens, and three strategically positioned lakes. The desert-framed golf course is the longer in Arizona at 7,545 yards and is adjustable to 5,200 to make it both challenging and fun for all skill levels. In facts, the course is one of the few that over seeds fairways, tees, greens, rough, and public areas that total over 188 acres. 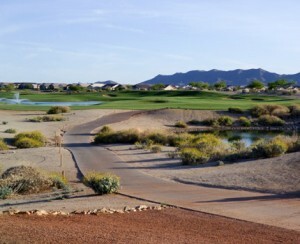 This is a 9-hole regulation length golf course in Casa Grande, Arizona. This short layout will reward good shots and provide a fun golf outing for everyone. A Greg Nash designed course offers golfers of all levels a truly memorable time. With a highly scenic and playable layout that blends seamlessly with the natural surroundings of the area, Mission Royale is a course worth experiencing. This is a 18-hole course, featuring 6,775 yards of golf from the longest tees for a par of 72. The course rating is 71.6 and it has a slope rating of 117. Designed by Arthur Jack Snyder, ASGCA, the Arizona City golf course open in 1959. Lush links style course, with rolling hills framed by strategically placed trees and vegetation. The undulating greens require most at “the best greens of any course in the area.”Other golfers have said that “the course is the best kept secret in the state,” and is the best jewel of Arizona golf.” The back tees play 7,183 yards and the front tees play 5,537 yards. Regardless of skill level, the course is fun because it is challenging, but fair. This 18-hole golf course features a scenic layout with rolling fairways, elevated tees and carefully created natural area supplemented by strategically located bunkers. While testing your decision and short-making abilities, the course offers good scoring chances in several risk/reward situations. 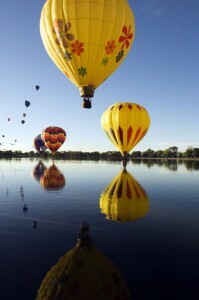 Take a thrill of a lifetime ascending in a hot air balloon, cruising over the picturesque landscape of Arizona and enjoy the peace, beauty and serenity of a hot air balloon flight with breath taking views. Enjoy a nice hike at the “Nature Trail” at the North Mountain Park. It winds 1.3 miles across the desert scrubland, allowing isolation and views of the mountains on the Gila River Indian Reservation. The trail is not challenging and suitable for beginner hikers. Directions to hike: From Casa Grande, take I-10 to the McCartney exit. Take McCartney east to Cox. Turn left on Cox and follow it all the way north. At Waverly, Cox turns to a dirt road and curves around the hill. Cox ends in a large gravel lot at the park entrance. Follow the park road into the park. Keep right at the first fork, then make a left at the T junction. This track ends in a nice parking area with a turn around by Ramada 1. The trailhead is just to the south of the parking area. The Casa Grande Main Street program promotes and holds several fun events in the historic district of downtown Casa Grande. Including “Art in the Alley”, street and car shows, and offers a Farmers Market. The “Art in the Alley” is a great “downtown social” with artist’s musicians, poets, and a car show. This event is held the first Tuesday of each month from 5:30-9:00 p.m. The locations is at the “The Alley” is off Florence street between 2nd and 4th Street. Also enjoy fresh produce, fruit, tomatoes, corn, watermelon, cantaloupe, farms eggs, hummus, mustard, soaps, exotic oils, bratwurst and crafts. That offered at the “year round Farmers Market” in the Historic Downtown District at 3rd & Florence Street. Open Tuesday 8 am – 12 pm and Fridays 4 p.m.-7 p.m. Explore the rich heritage of rural Southern Arizona. The museum offers tours, lecture series, workshops . Explore the more than 650 year old mystery and complexity of an extended network of communities that rivals today’s cities. 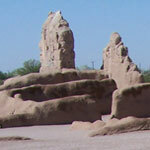 An Ancient Sonoran Desert People’s farming community and “Great Hours” are preserved at Casa Grande Ruins. Open every day of the year from 9:00 am to 5:00 am except Thanksgiving and December 25th. Take a tour of one of the world’s 7 natural wonders, the Grand Canyon! 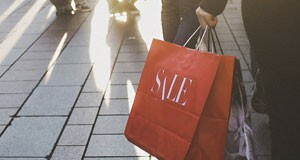 Great Shopping and so much more! Casa Grande Regional Medical Center is a full-service, non-profit, community-owned hospital committed to providing quality health care to the Casa Grande Valley as well as the surrounding areas in caring and compassionate environment.